I started this blog to open up the dialogue between Pilates and Alexander, and to look at how both of these techniques help people feel better about themselves and their activities. Erika Iverson, my Alexander colleague and fellow actor/performer in Magis Theatre Company has been collaborating with me to craft these letters. We hope the images and research will awaken your mind to new ways of thinking about your body. 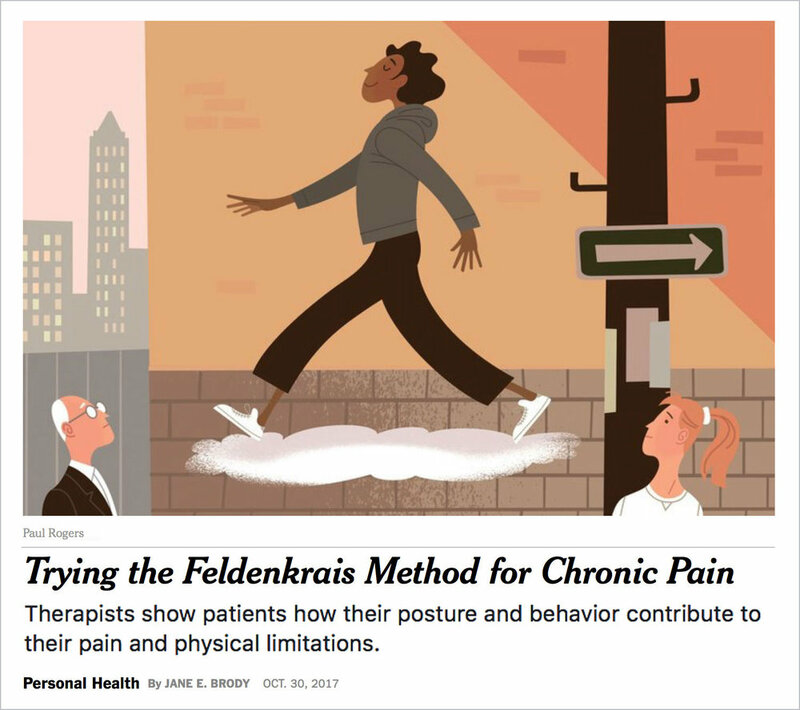 Feldenkrais has been trending lately in the New York Times and Huffington Post in its positive effects on the body and mind. If you have ever worked with our physical therapist Caroline Feig, you might think she has magic hands. As it turns out part of her magic comes through her knowledge of Feldenkrais. Whether you’re a novice or have tried Feldenkrais before all are welcome! Register as unpaid through our Mindbody Reservation System. Click "Enrollment" tab to sign up for workshop." Read the New York Times most emailed and shared article on the topic. It’s hard to see ourselves clearly. Our bodies don’t come with a user’s manual and what we call Physical Education doesn’t really teach us much about how our bodies work and how to care for them. This class aims to fill that gap. Working with thousands of clients over three decades of professional practice as well as with his own physical challenges, Stuart Garber has cultivated an expertise in supporting people in developing more comfort, ease and freedom in their embodied lives. Geared for students at all levels of fitness, this class will be of special value to those seeking support in speeding recovery from accidents, illnesses and surgeries or living with chronic conditions. You can sign up for this workshop through our Mindbody reservation system. Once you have logged into Mindbody, click “Enrollment” tab to reserve and pay for your spot. *Full refunds for reservations canceled within 24 hours of workshop. 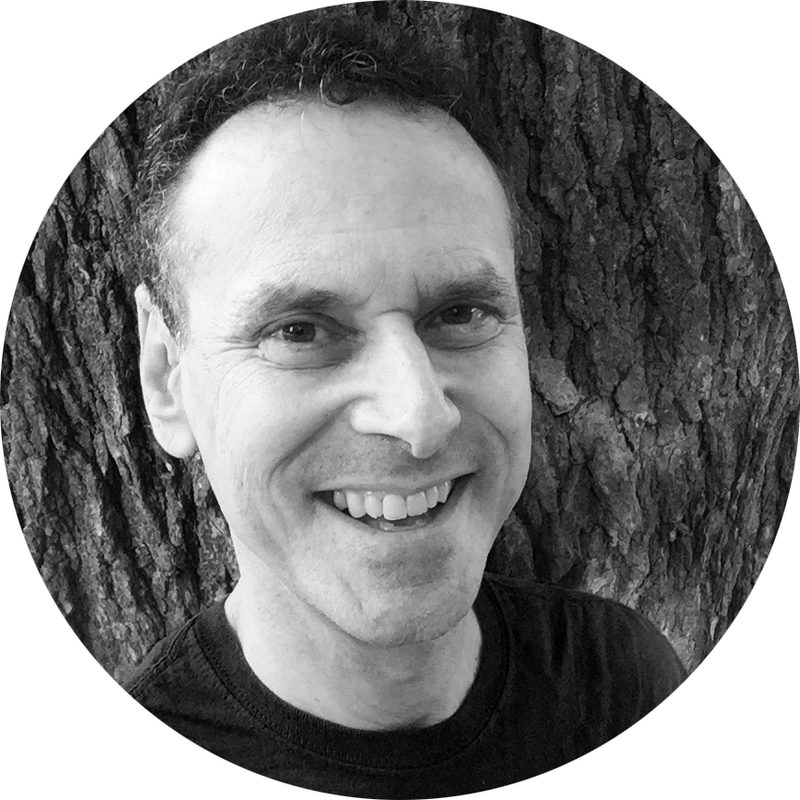 Stuart Garber is a New York State Licensed Massage Therapist, Certified Polarity Therapy and Shamanic Reiki Practitioner with close to 30 years of professional training and practice. He has worked on the staff of the Ostrow Institute for Pain Management and the Memorial Sloan-Kettering Cancer Center’s Integrative Medicine Program. In addition to his bodywork practice, Full-Spectrum Touch Healing Journeys, Stuart leads classes and day retreats in meditation, self-massage, and body-centered stress management and self-discovery, as well as advanced bodywork and counseling skills for massage therapists. Why take a surfing workshop? Because at Pilates Garage we do a lot of balance work in our classes and it is a fun new way to explore balance and how it relates to your core strength. Because our backs are tight and rolled forward in our work and/orhobbies and surfing really works to open up the chest, strengthen the shoulders and the back so you can paddle your board out and catch a wave. Because core stability in relation to your limbs is needed to paddle out and then stand up on the board and we all need to work on that. Because endurance is neededto paddle out and catch waves and we could all use some more endurance. Surfing entered my life when a friend took me down to the jersey shore for my 40th birthday. I did not stand higher then my knees but I did catch some waves and the awesomeness of being in sync with the power of the ocean was pretty incredible. We went to Costa Rica for surf camp. The highlight was that I caught and rode a 6 foot wave and I came home with a surf board. A couple years later, a regular client who knew I had been surfing asked me to train her for surf camp. We had about 4 months. It was a lot of Pilates work in surf type positions. She went to camp and was the only one still standing after the first lesson. The only one without aches and pains the whole week. Yes she worked hard and we had a blast. I did a Surfs Up workshop after that and we had tons of fun. Only one person was actually a surfer in that group. Think of this workshop as a fun way to explore and play with balance and discover how your core can aid in stability. Even if you don't plan to catch a real ocean wave, come catch a roller wave in Surf's Up. Surfers of all ages... 60, 70 and 80.... Not everyone has to do crazy huge waves... Gentle waves are awesome! Read the story on the health benefits of surfing in the Surfing Handbook blog.